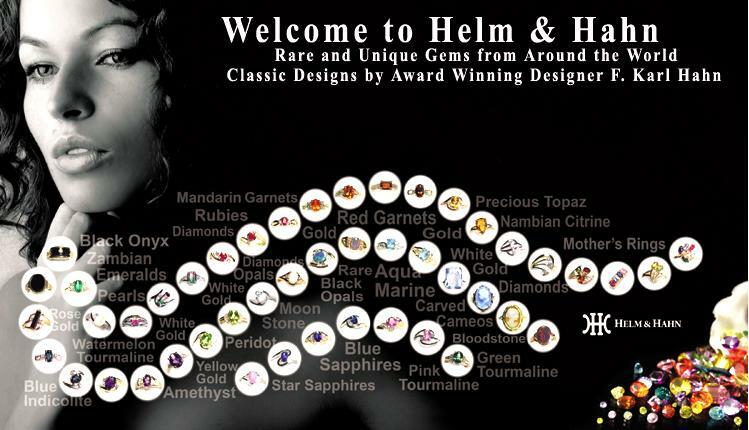 Helm and Hahn has been designing and manufacturing rings for over 75 years, including 3 generations. We are an American company that employs American workers. We are proud of our work and stand behind every piece of jewelry that we produce. When you purchase from Helm and Hahn, you are buying direct. Superior craftsmanship at a great value. We have collected gem stones from all over the world. Some of our stones will never be seen again. They are truly rare and one-of-a-kind. Our classic settings were designed to hold the gemstone of your choice. All of our rings are manufactured on our premises in Pittsburgh, Pennsylvania. We own and make our own styles, in 10 and 14 yellow or white gold. 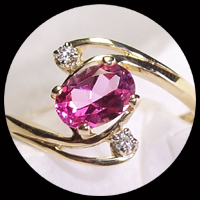 We can make that one special ring or manufacture multiple pieces of a particular design. As each ring is custom made, we encourage you to call us @ (800) 627-9612, or e-mails us @ Fhahn@verizon.net to inquire or order your ring. If busy please leave a message and we will return your call. All Rings are designed and Manufactured in Pittsburgh, PA. 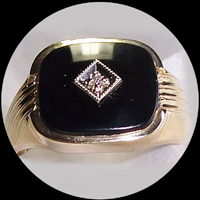 Most Ladies and Men Rings are available in many different stones. Genuine Stones in all of our styles with the except the created Star Sapphire Rings. With Each order we take the time to hand pick the stone and make sure your ring arrives in the size you need. Due to this process it take about 2-3 weeks for a ring to be delivered.